From 4th of September, 2010, till 3rd of October in the frames of Programme Nr. 15 in Kim? / FK gallery an exhibition by Ieva Epnere “The Green Land” will be opened for visitors. 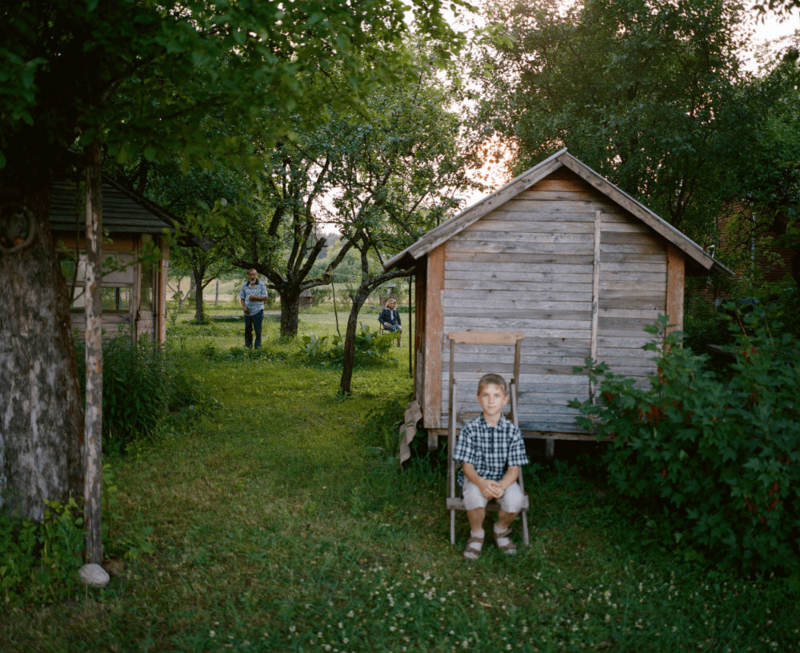 Photographies and the installation, exposed in “The Green Land”, are not only a unique artifact of a high quality, but also a sociocultural portrait of a typical town in Latvia nowadays. “The Green Land” tells a story about time, past and present, which has changed a certain town, once very active and lively place. This town is Vaiņode – a childhood place of the author, Ieva Epnere, where artist used to spend 3 summer months each year. Vaiņode is a place of a diverse and interesting history; once it has been a place of the zeppelin hangars, which are now known as pavillions of the Riga Centram market. During the Soviet time, in Vaiņode there was a strategic military airport, railway station, which was in use till the 1997, and which now seems to have fallen asleep for an uncertain time. Places, where once families of the military persons used to live, now has turned into green meadows. Work with “The Green Land” is a kind of a “vision training”. It is not longing for the past times, rather a way to search for the miracles in our present, in our daily life. Accent in this exhibition falls on landscape and on portrait of a human in landscape. Ieva Epnere is interested in grasping and revealing the atmosphere and the mood, which now covers Vaiņode town. This series of photography is a journey in time, when a personal experience of the artist, summers of her childhood spent in Vaiņode, is now being transformed through certain social processes in the society. It is not a world seen through the eyes of a child – it is a reality.